You wonâ€™t find microplastics in any Beauty Kitchen products. Over the last few months, weâ€™ve been working alongside Plastic Soup Foundation - an amazing organisation that well, takes action to stop our beautiful oceans turning into a big pot of plastic soup. Their campaign - â€˜Beat the Microbeadâ€™ takes a close look at plastics found in our everyday beauty and hygiene products. Microbeads are often used in toothpastes and exfoliating products (eg: face scrubs) and are basically tiny pieces of plastic that find their way into our oceans, which marine life then mistake for their favourite food, plankton. For you and me, it would be like biting into what looks like a real cake and realising that itâ€™s actually made from plastic, after you ate it (although, weâ€™re sure youâ€™d be able to tell the difference straight away). The great news is that last year, the UK banned the sale of all products containing microbeads, which is a huge move for our little corner of the world. Woo hoo! Go UK! Some more great news? Plastic Soup Foundation are raising awareness and campaigning against the use of other microplastics used in our day-to-day beauty products. Wait, whatâ€™s the difference between microbeads and microplastics? Microbeads can be considered as a type of microplastic, but there are other microplastics in products that are too small for the eye to see. In fact, theyâ€™re small enough to be absorbed through our skin, into our bodies and well, just sort of stay there. Research by UNEP (United Nations Environment Programme) shows that many more types of plastics are added to beauty and personal care products than the â€˜classicâ€™ plastic microbeads - theyâ€™re just hidden in that silky texture of what might be your favourite face cream. To top it all off, theyâ€™ve pulled together a list of beauty brands who have absolutely no plastics in any of their products - of the microbead or microplastic variety. Weâ€™re absolutely over the moon to be included on the list and see the amount of great brands who are on there too - just proving that there are more sustainable options out there. 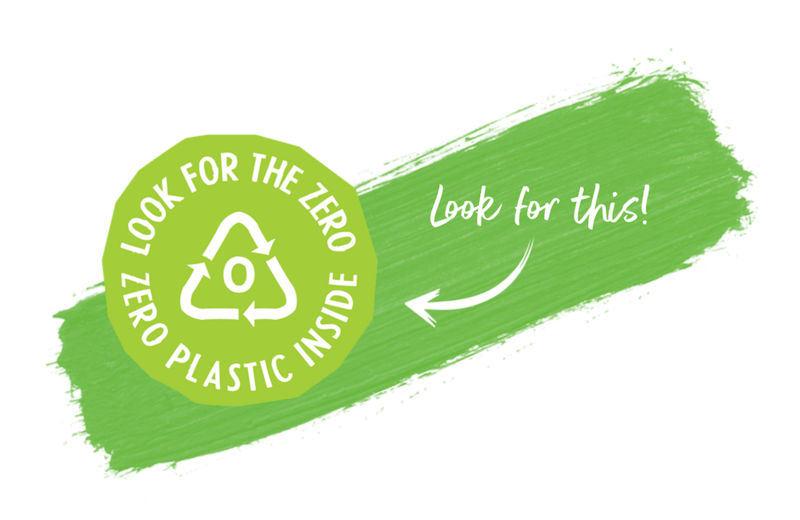 To make it even easier, Plastic Soup Foundation have created the â€˜Zero Plastics Insideâ€™ badge - so keep your eyes peeled for this stamp to find beauty products that are completely free from microplastics. Learn more about Plastic Soup Foundationâ€™s campaign against microplastics and shop our completely plastic-free range, right here online.